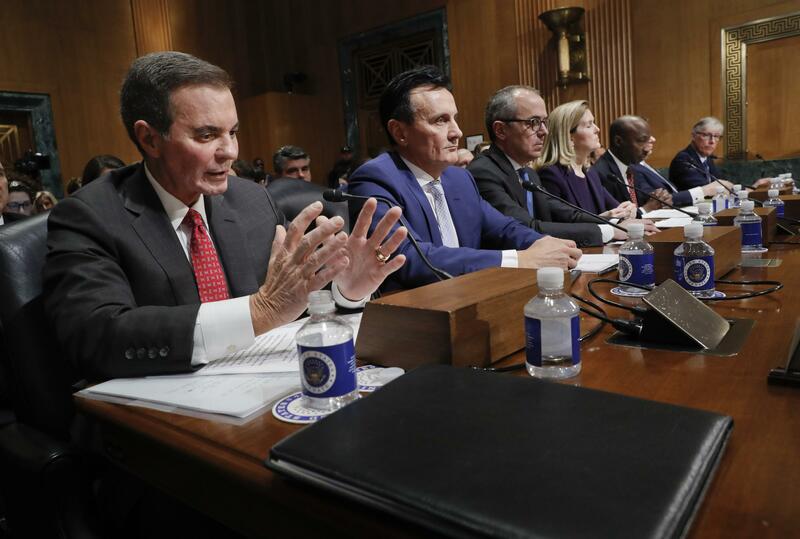 Drug prices in the United States support spending on research and development, said AbbVie CEO Richard Gonzalez (far left) in testimony by drug company executives before the Senate Finance Committee on Tuesday. The result? Those who ration their meds are often sicker, the poll finds. The responses also illustrate why prescription drug prices are such a big issue for the Trump administration and on Capitol Hill. "We've heard a lot of stories about the high prices that millions of American patients pay, and struggle to pay, for their drugs every month," Health and Human Services Secretary Alex Azar said in a speech to the Bipartisan Policy Center on Feb. 1. Azar was touting one of a series of regulatory proposals that he says will bring down prescription drug prices for consumers. The survey suggests that a change like that would be well received. Seventy-nine percent of respondents said drug prices are unreasonable. And 63 percent said there's not as much regulation as there should be to help limit the price of prescription drugs. "Financial barriers for medication use are not rare, and they can actually have and are having, a detrimental effect on our fellow citizens' health," Inmaculada Hernandez, a professor at the University of Pittsburgh School of Pharmacy, said in an email. "With the current awareness and the bipartisan agreement in the recognition of drug prices as a major concern, we are in an optimal environment for the design and implementation of policies targeted at controlling prices, and assuring the affordability of medications to the U.S. public." The poll also offers some guidance about which proposals would be most popular and which arguments proponents and opponents would be able to use to sway public opinion their way. For example, 86 percent of respondents say they support having Medicare negotiate directly with drug companies to get lower prices. Right now, Medicare is barred from direct negotiations, but Rep. Lloyd Doggett, D-Texas, and Sen. Sherrod Brown, D-Ohio, introduced a bill last month that would change that — a move drug companies oppose. The poll shows that consumer support grows when people are told that such a change could lead to lower prices for senior citizens. But that support for Medicare negotiations crumbles to just 31 percent when people are told that pharmaceutical companies may cut back on research if prices decline. Richard Gonzalez, CEO of drugmaker AbbVie, said just that at a Senate Finance Committee hearing on Tuesday. In response to a question, he said AbbVie makes a profit in European countries, where its prices are much lower. But if U.S. prices fell to the same level, he warned, "I can just tell you that AbbVie would not be able to invest in the level of R & D that it invests in today." AbbVie makes the biologic drug Humira, which is the bestselling prescription drug in the world. It's unclear that this argument will hold up, as the debate over the drug-negotiation bill in Congress progresses. Sen. Debbie Stabenow, D-Mich., responded by saying that the pharmaceutical industry spent $79 billion on sales, marketing and administration last year — $22 billion more than it spent on research. The poll finds that 80 percent of Americans surveyed say that drug company profits are a major factor contributing to the price of prescription drugs. And only 25 percent trust drugmakers to price their products fairly, the poll finds. The poll also finds that 65 percent of people surveyed support tying the price that Medicare pays for prescription drugs to the prices paid by the health services of other countries. The Department of Health and Human Services has proposed that the prices of some cancer, arthritis and other medications administered in doctors' offices and hospitals be based on an index of prices paid in other developed countries. A group of 57 conservative organizations opposes the idea. "The proposed payment model imports foreign price controls into the U.S.," the group warned in a letter to the department. But the Kaiser poll finds that the 65 percent of people who like the idea is almost the same as the share who favor outright limits to Medicare recipients' out-of-pocket costs. The survey also finds widespread support, 88 percent, for another Trump administration initiative — requiring drug companies to include their products' list prices in television, magazine and other direct-to-consumer ads. 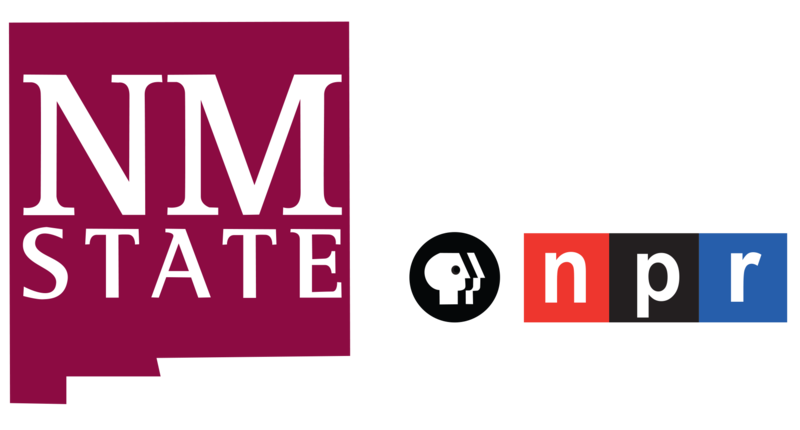 The nationwide survey of 1,440 adults was conducted from Feb. 14 to 24. The margin of error for the poll overall is plus or minus 3 percentage points.